Stein Arne Lindvall, the owner and builder of this fantastic car, take us for a spin from Porsgrunn to Horten. Here is some short clips from the ride.The car has two settups. A setup for race on track. And one for normal (approved TUV, DUV, Dekra, KÜS, biltilsynet. ) for street use. 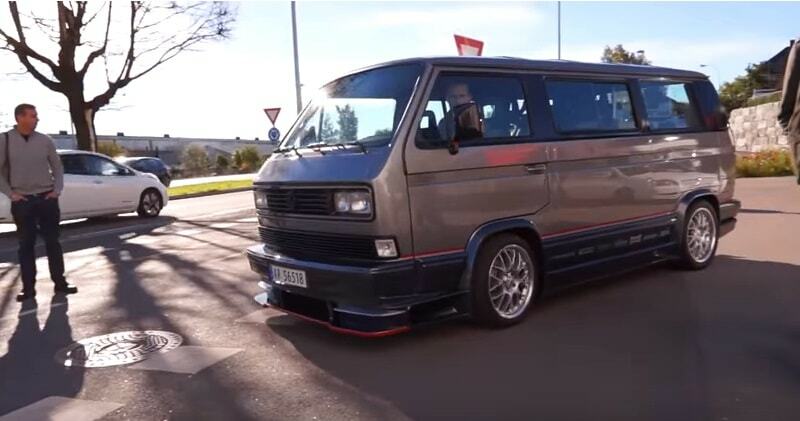 This awesome and brutal fast and look VW Caravelle T3 has a Chevrolet engine with 5.0 liter 507 Hp which liberates street use and awesmoe 1200 Hp for race track.Because of the venturishaped bottom plate (made of carbon fibre), this car have a huge downforce. 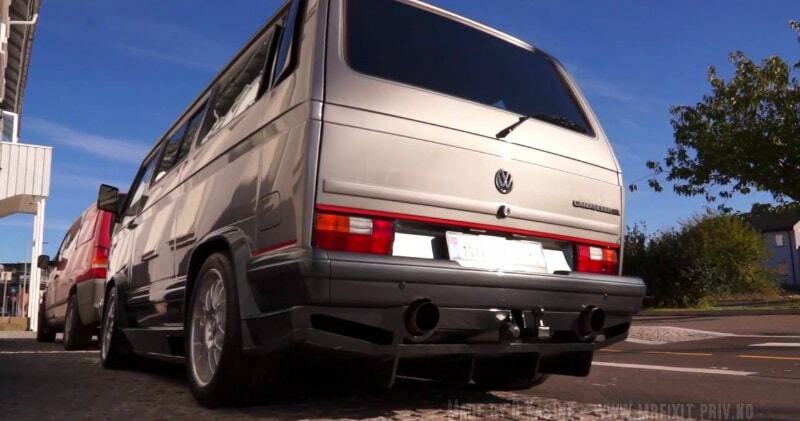 The car weighs about 800 kg more at high speeds.The VW Caravelle T3 has two settups. A setup for race on track and one for normal TUV approved, DUV, Dekra, Kus, biltilsynet for street use. It is absolutely extreme world’s coolest Volkswagen Caravelle with 1105 Hp / 1311 Nm.That’s what it looks like styling of this Caravelle does not need a lot of talk because all are perfect to the smallest detail. There are also inevitable BBS wheels for a perfect look. And the sound? Now that’s another story because the V8 engine also has the most beautiful sound and when this is done with great exhaust system then it hit.